Thanks for sharing, Girl Scouts! Early on in the history of this blog I wrote a post about how the Girl Scouts devoured a cemetery that I REALLY wanted to go to. I had a sneaking suspicion that within this cemetery lay quite a few of Andrew’s old family, including great great great great grandparents. I finally got the guts to confront this nasty Girl Scout camp, “Camp Dellwood” (I am using finger quotes…as I am typing this…as difficult as that sounds). I had the help of my trusty cemetery-stomper friend, Jumwaltie (the spelling has been altered protect the innocent). Jumwaltie has been a trusty friend in cemetery-stomping for years, and as far as I am concerned…things better stay that way. We call it “cemetery-stomping” but we don’t actually stomp on them. It just a crass/shortened way to describe driving around and visiting graveyards. We don’t jump on headstones or anything weird like that. Anyway…I digress. Jumwaltie joined me on our trip. She played navigator to my driver. Thank heavens she did, because even as I was driving my car sickness was making we woozy. Uncool. Road trips are my favorite thing in the world and this situation seems to be getting worse. Navigating (reading anything) makes it all ten times worse. Anyway, Jumwaltie got us to Camp Dellwood. We drove in the front entrance and the “park ranger” was washing his car in his driveway. I met him and said that I heard there was a cemetery back in the camp that I was eager to visit. He seemed nice enough, possibly annoyed, but definitely nice. The gatekeeper allowed us through. 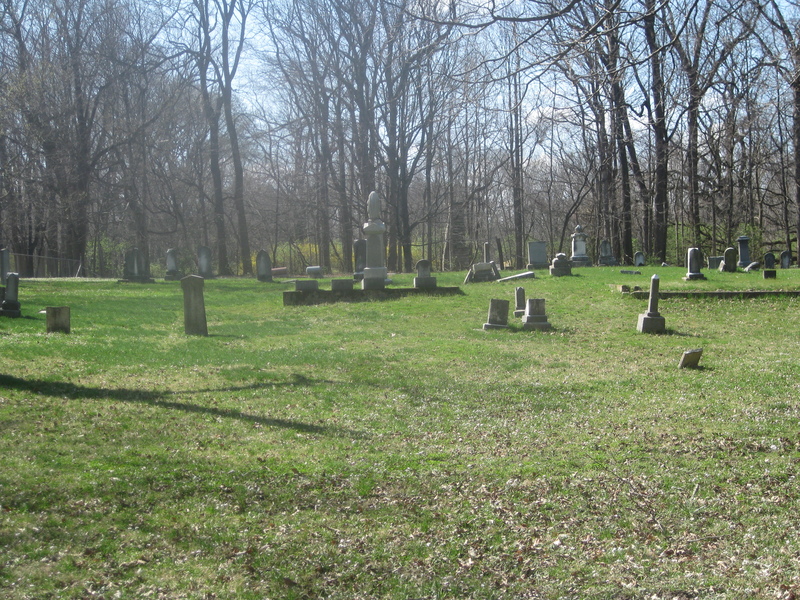 Old Union Cemetery on the west wide of Indianapolis, Raceway Road, located inside Camp Dellwood. About 500 yards into the camp the cemetery was on the left. It seemed pretty well maintained, especially considering the age of many of the headstones. What I found out was pretty awesome. Andrew’s great great great great grandfather was buried there. His name was John Hornaday. His family relocated from Chatham County, North Carolina and ended up in western Marion County and Eastern Hendricks County. In fact, Hornaday Road runs just north and south just 2 miles west of the Old Union Cemetery. 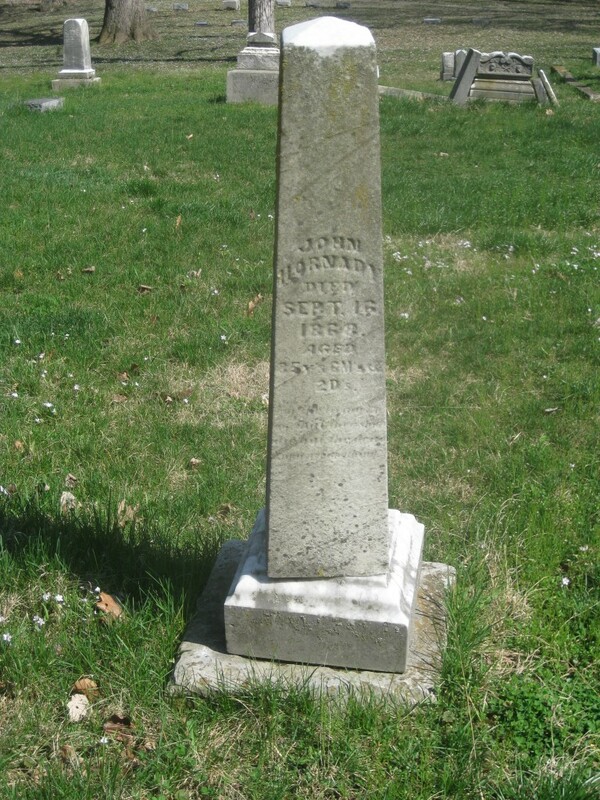 This is the cool part..
Andrew’s grandmother, Dorothy Boyce Nelson, was John’s great great grand-daughter. She was also a girl scout troop leader. According to her she used to spend many a nights camping at Dellwood with her troops. I haven’t talked to her about it, but chances are she had no idea she was camping directly next to where her great great grandparents had been for 100 years already. Just goes to show that the girl scouts are good for way more than just Samoas (although they are kind of the best). Thanks, girl scouts, for sharing in my family history. It was a good start to an all day trip. More to come. Learn how Jumwaltie is convinced that my Andrew and her man-friend are somehow related. This entry was posted in Genealogy, Indianapolis, Nelson Family and tagged ancestry, cemeteries, family history, genealogy, Girl Scouts, graveyard, headstones, Hendricks County, Indiana, Indianapolis, Marion County, North Carolina by amanita. Bookmark the permalink. Since mom and my sister were in the girl scouts, I was forced to go to Dellwood on several overnights! A single 7 year old boy with lots of teenage girls! Girls!! Yucky!!!! Oh I was so hoping this was “West Union” Cemetery. My gr gr gr grandfather was buried there and the people that have visited that cemetery say the graves have all disappeared! Only a marker is left! Please let me know if you find this missing cemetery! All that remains of this cemetery is a memorial stone that is maintained in good condition by the church on the same site. Also known as Old Baptist and Olive Branch, the Landwerlyn-Myers Cemetery remains were moved here in 1955. This site is #154 on the 1930’s WPA list. Go north on Meridian Street to 30th Street. Turn left [west] on 30th Street and proceed to Tibbs Avenue. The memorial stone and site are on the southwest corner of 30th Street and Tibbs Avenue. Any help would be so appreciated! Thank you!